As monsoon has arrived and many people are making a plan to travel around India to enjoy the greenery and surrounding. As India is enrich with so many culture, greenery, Lakes and hill station and specially in monsoon it became the world best tourist place and many people around the world travel to India just to enjoy the surroundings and to relief their stress, but today we will discuss about one of the most amazing place of India that is known as “Udaipur”. It is also known as “City of lakes” as it have lots of lakes and the greenery around it make it so beautiful that will blow everyone mind. The state of Rajasthan is culturally rich and has great historical importance. “Chittorgarh” is one of the popular destinations for tourist travel in Rajasthan. Chittorgarh city lies on the banks of Rivers Berach and Gambini. One of the significant landmarks in the city is the Chittorgarh fort. Chittorgarh Fort is one of the most important places to visit in Chittorgarh. This historical fort is the pride of the Rajasthani town as it stands imposingly upon the top of a hill, looking down protectively over the city. It is enrich with so much of historical monuments that will completely blow anyone mind. Nakki lake– Most popular attraction of mount Abu , it is ancient and sacred lake. It is a great place Nakki lake for picnic with friends and family. Sunset point– sunset view on Aravali range is the best viewed from sunset point. This is one of the most visited place for all tourist coming to mount Abu. Haldighati is famous for the war between Maharana Pratap and Akbar in history. It is 18 kilometers away from Ekalgonj in Rajasthan. This is a pass in the Aravali mountain range. It connects Rajsamand and Pali districts. It is 40 km from Udaipur. Its name was ‘Haldighati’ because the soil here is yellow like turmeric. 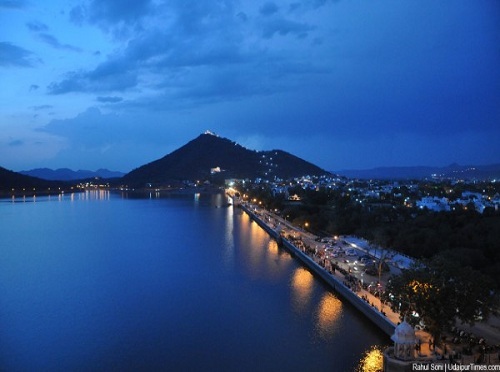 His historical story make this place one of the most interesting place for visitor who is interested in knowing history of Mewar and everyone wants to visit it once in a lifetime. Kumbhal garh Fort is about two hours drive from Udaipur and is truly Amazing Place to visit of Udaipur. Some Historical Artifacts and war related things like Lakhola Tank and temple of Hindu’s and Jain’s are the most attractive part of the fort. Kumbhal garh is also the birthplace of Maharana Pratap, the great king and warrior of Mewar. Rainwater and the greenery around it make this place the best place to visit in monsoon. 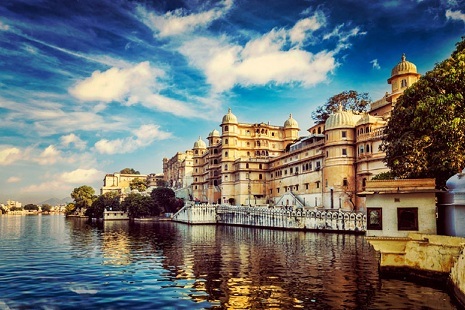 As Udaipur is enrich with so many tourist places around the main question arises here is what the package of visiting all such places and how to travel around all this places. So the answer is with tour packages offer by Om travels you can get affordable tour package and also a convenient Taxi service in Udaipur. We have experienced driver that will always there with you to guide you and to make your journey happy and comfortable. For more detail contact us and we will happy to help you.